Delkevic De-cat pipes are the easiest way to unlock performance from your motorcycle! By removing the restrictive standard catalyser and fitting a free-flowing cat eliminator or De-Cat pipe you will feel the benefits of improved torque and increased performance, whilst maintaining the integrity of your exhaust system. 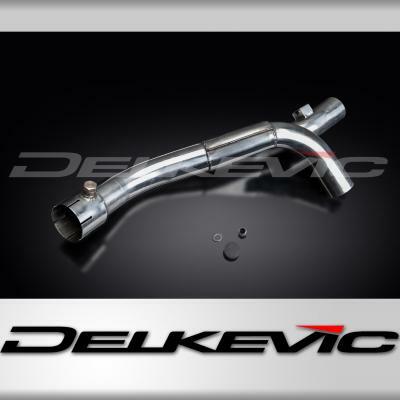 Manufactured from high grade 1mm section 304 Stainless Steel Delkevic de cat pipes offer performance, weight saving and a guaranteed fit, including fittings for lambda sensors/O2 sensors (where required) , you can rest assured that your exhaust is made to last with the Delkevic lifetime anti-perforation guarantee!